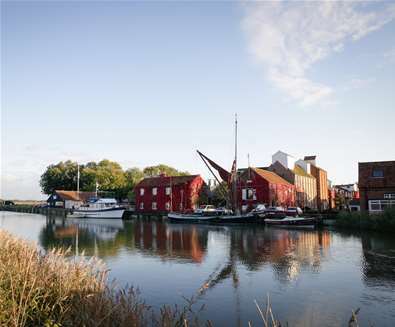 Snape Maltings is a world-renowned landmark on the Suffolk Coast. Visit this remarkable collection of redeveloped Victorian industrial buildings for world-class concerts and events, distinctive independent shops, cafes, galleries, walks and abundant wildlife, all set against a breathtaking expanse of reeds, water and sky. World-class concerts and a vibrant creative campus. Snape Maltings is one of the world’s leading centres of music, hosting outstanding concerts and festivals throughout the year, from the flagship Aldeburgh Festival – one of Europe’s top classical events – to the folk, world music and jazz of the Snape Proms. What makes Snape Maltings so special is its creative campus, which hosts residencies and courses for musicians at all career stages as well as pioneering learning and inclusion projects. The campus buzzes with the energy of innovative creation – come to an Open Session or Masterclass to get behind the scenes and see projects in development. Discover the unique collection of twelve independent shops. 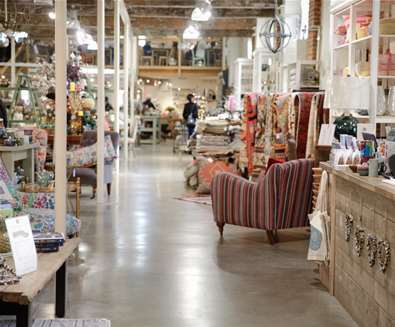 Housed in converted Victorian industrial buildings, unearth a thoroughly unique shopping experience. Immerse yourself in the eclectic interiors of House and Garden where you will discover British made upholstery and a handpicked selection of tableware, rugs, throws and gifts. Visit the Granary building, home to the old-world toys of Little Rascals and Samphire’s boutique clothing. The courtyard garden leads to the Food Hall featuring locally produced and seasonal food. 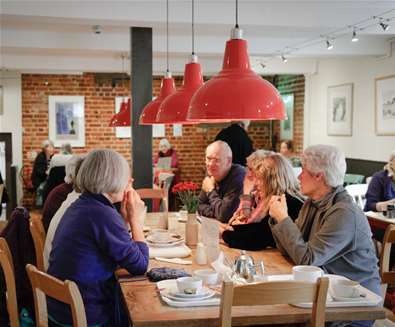 Snape Maltings also plays host to many food events, including the nationally renowned Aldeburgh Food & Drink Festival and a monthly farmers’ market. Spectacular expanses of reeds, water and vast skies. 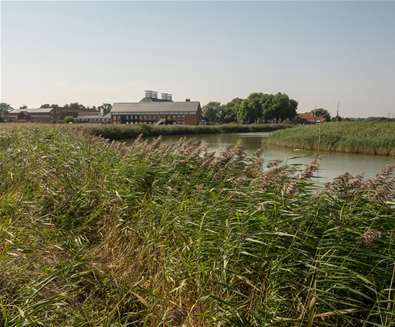 Snape Maltings is located in an Area of Outstanding Natural Beauty. Hugely popular with walkers, birdwatchers and nature lovers, the glistening mudflats of the River Alde and surrounding marshes are a haven for flora and fauna. Resident birds include curlews, egrets, avocets, bitterns and marsh harriers, while mammals include otters, water voles and even the occasional seal. Sculpture, exhibitions and fascinating architecture. The site is a delight to visit for its architecture, galleries and exhibitions, and its important collection of sculptures, which include Barbara Hepworth’s Family of Man, Henry Moore’s Reclining Figure (Bunched) and Germano di Chello & David Rickard’s Myriad. 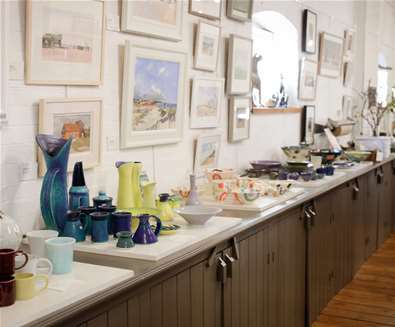 On site there are four galleries hosting exhibitions ranging from contemporary and traditional British art to calligraphy and stone carving and work by local artists and craftworkers. Meanwhile recent exhibitions at the Aldeburgh Festival have featured work by artists including Tracey Emin, Abigail Lane, Sarah Lucas and Gavin Turk. Three eateries on site are open all year round – Café 1885, The Granary Tea Shop and The Plough & Sail pub and restaurant. Meanwhile the Concert Hall Restaurant offers pre- and post-concert dining for many events. 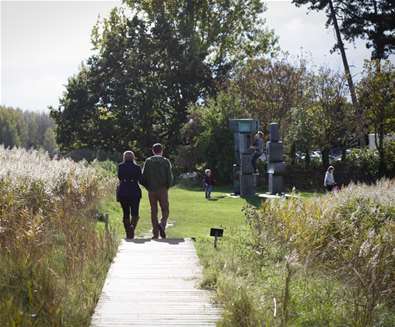 The Concert Hall Café with fantastic views across the marshes is open May – October.